Lethal Rhythms will be the music sponsor and entertainment for the Bridal Extravaganza of Atlanta on Sunday, January 26th in downtown Atlanta. 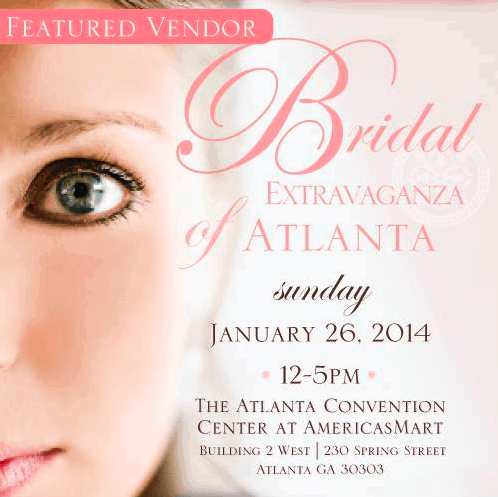 Join us for a bridal show with Atlanta’s top event professionals, wedding inspiration, giveaways, gift bags, and more! We invite you and your fiance to come down and meet the team and see our DJs in action (use promo code BEA2014 for $5 off your tickets). Lethal Rhythms has been involved since the beginning days of Bridal Extravaganza and we are honored to once again be chosen as the entertainment sponsor for the renowned bridal show! Our DJs will be live mixing during the fashion show and playing music on the timeline breaks throughout the day. Have you heard of the Ultimate Wedding Giveaway, sponsored by The Knot? Lethal Rhythms is one of the featured vendors donating an A-list DJ, MC, and Lighting package to one lucky couple! We are also offering a one day only special at the Bridal Extravaganza for brides who visit our booth and book Lethal Rhythms Entertainment for their special day! Come visit our rep Marisa Negri at the show booth and learn more about our services and this special offer! Lethal Rhythms Entertainment ~ “Lethal Rhythms Professional Mix DJ ” Wedding Package. Check out the Bridal Extravaganza Schedule of Events below to get a good idea of the fun to expect. Please send an RSVP email to marisa.negri@lethalrhythms.com if you plan to attend. We hope to see you there! To learn about other Lethal Rhythms Events, check our Calendar.